Where are we now in the Tour de France ? 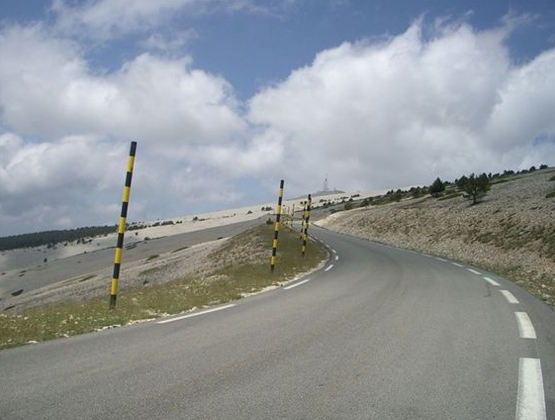 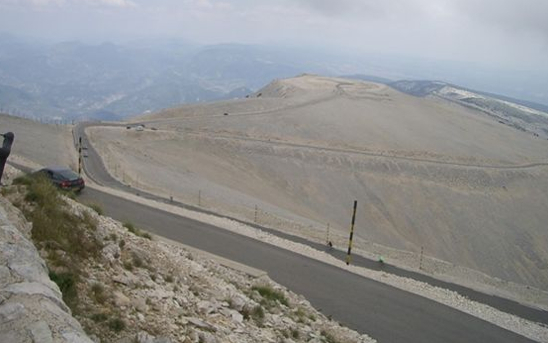 Seven stages remain in the 2011 Tour de France and we head north into the Alps and Italy! 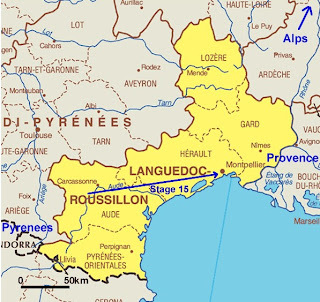 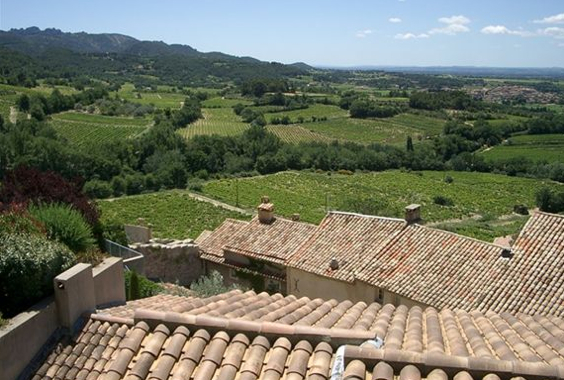 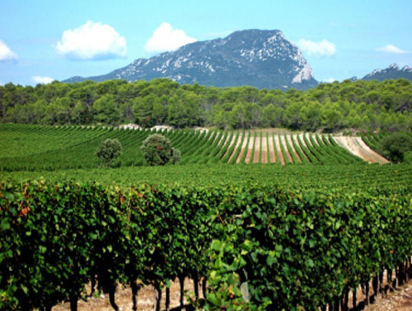 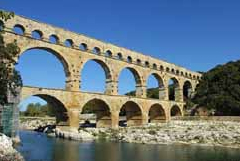 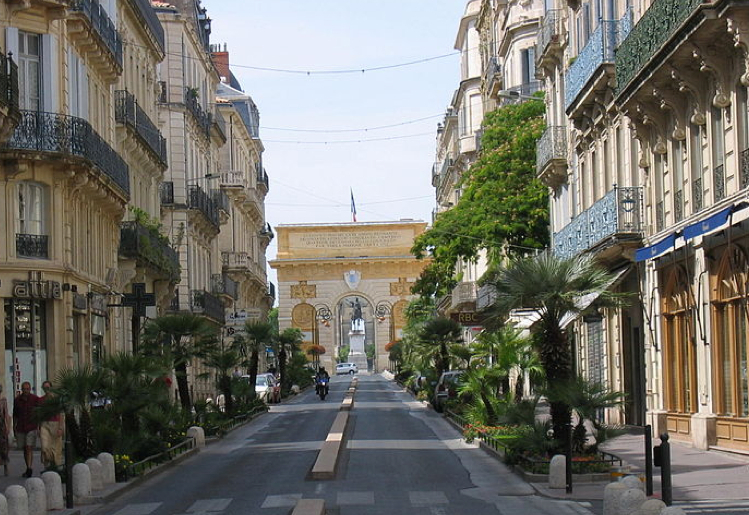 We are traveling through the region of Languedoc-Roussillon. 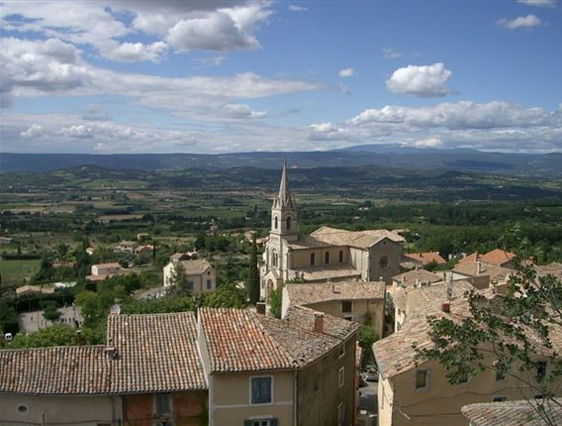 Beginning south of Carcassonne in Limoux. 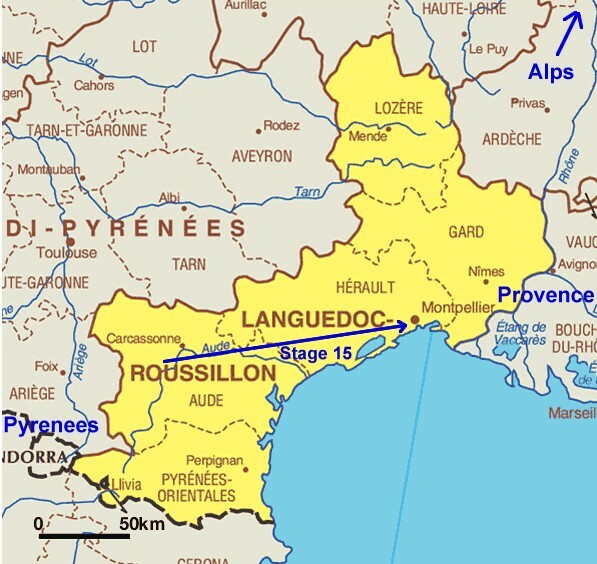 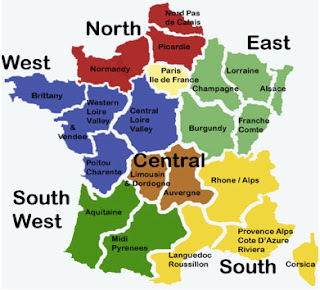 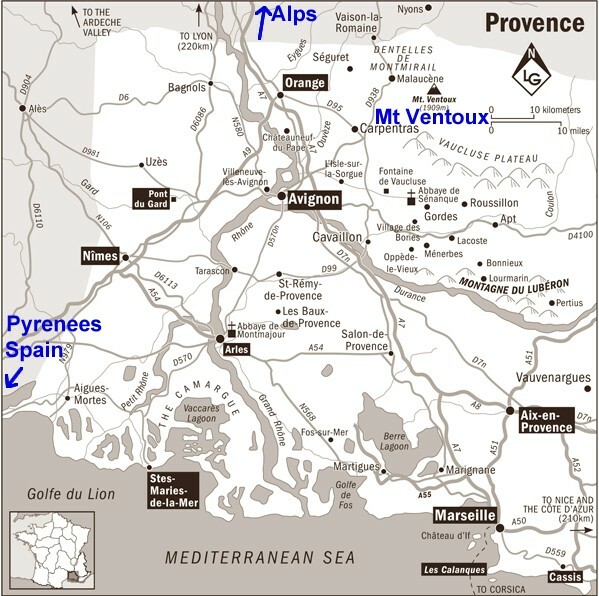 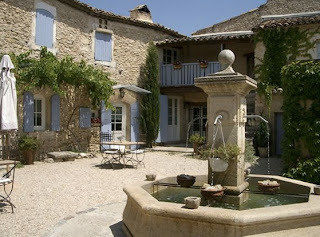 A region extending from the eastern side of the Pyrenees through the vineyards and wind swept lands along the Mediterranean north to Provence. 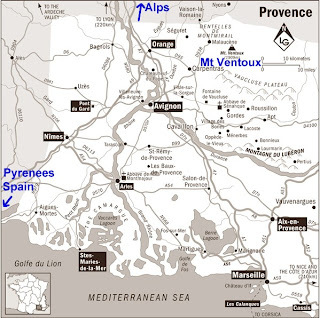 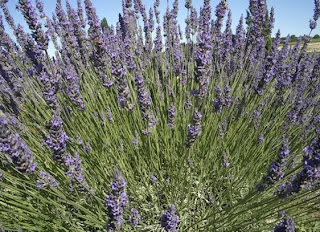 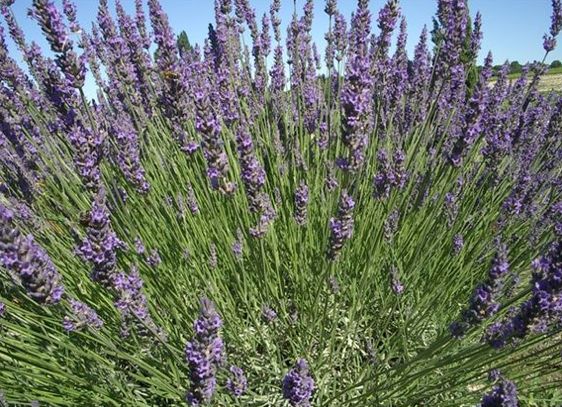 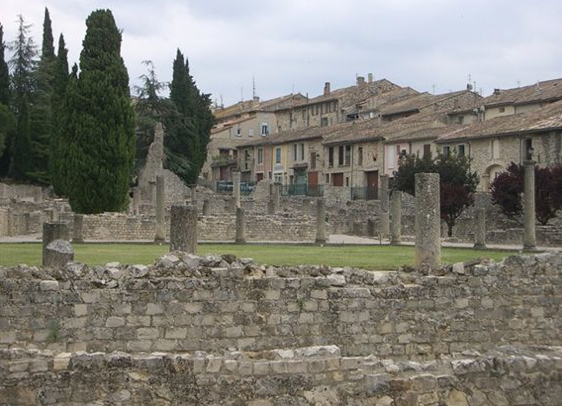 The Tour skips over Provence this year, yet still it is a very popular area for tourists and worth visiting if you are traveling between the Pyrenees and the Alps. 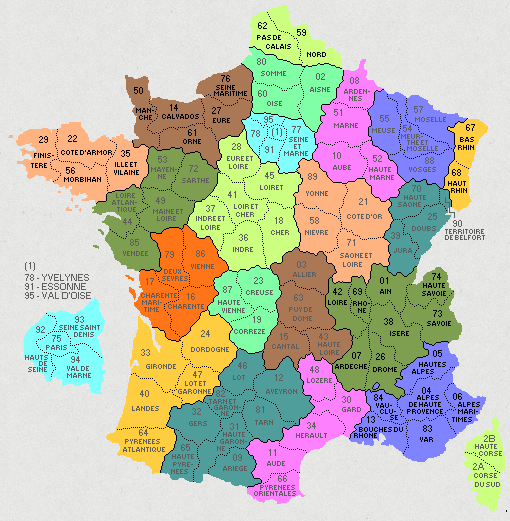 The town names on this maps are probably familiar to you. 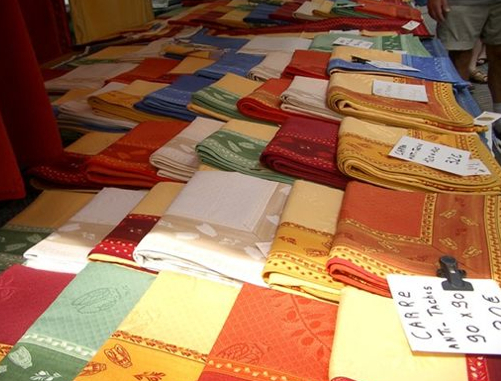 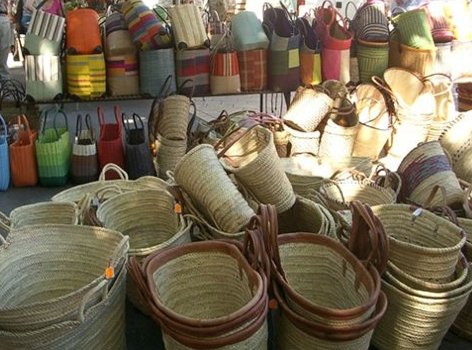 Provence morning markets are some of the best morning markets in France. 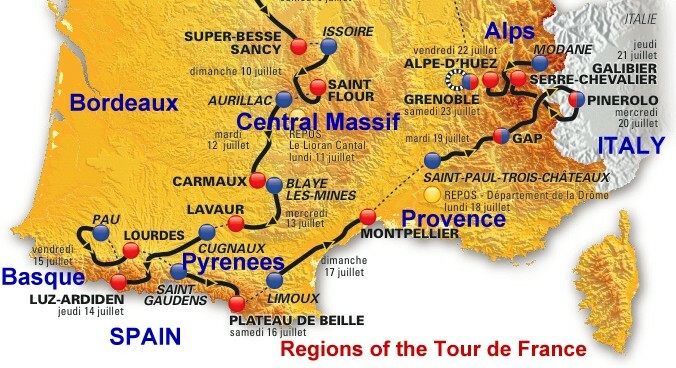 The Tour de France continues on the road to Italy and the Alps for Stage 16 on Tuesday. 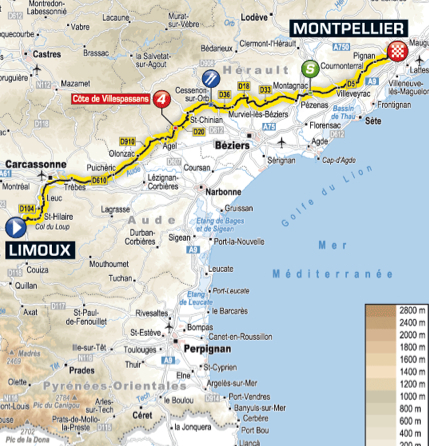 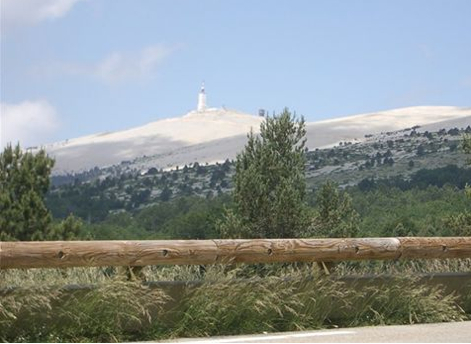 Tomorrow is a rest day after finish the stage in Montpellier, France, the teams will rest in Département de la Drôme.